I bought an old(er) home that I'm renovating to flip. Having no clue on the process of converting an oil furnace to gas - I enlisted homestars to help me find the right contractor for the job. From the moment I first spoke to Rafal I decided Bluemax was the company to use. He not only is an honest, answers the phone (so important! ), knowledgable and always on time, he also educated me on the process - kept me informed of the status at all points and came in the middle of all the other quotes I received. The job was done smoothly, on time and with the highest quality I could expect. I am comfortable in the fact I have a 'good one' ready for my next flips needs! From the initial quote with Emil (owner) to the team that arrived on the day off - Martin, Sinal, Tyler, John and Mat, I have nothing but great things to say for Burloak Movers. Efficient, safe, friendly, accommodating, non-confrontational, and willing to go out of their way, are only some of the descriptions that come to mind. Whilst most companies will carry the appropriate insurances, pack and move your home (without damages, if you're lucky! ), the following are 2 examples why (for me) Burloak movers stand out amongst the rest. 1). I requested 2 king size mattresses to be brought up from my basement apartment to the garage for scrapping later. I also needed a full size fridge that I had stored in the garage to be moved down to my basement apartment. Although it was not part of the original quote, the team obliged with NO fuss or additional cost. The convenience of having it done for me, cannot be discounted. 2). During the quote Emil informed me that one of my closets would be a problem and he did not have the expertise to dismantle and then reassemble it. Upon request (this is important because he did not push his referral, on the contrary I pulled him to refer someone as I did not have a solution), he referred, someone who could, and a day before the move, the "expert" arrived disassembled the closet and packed it for moving. Before the team finished unloading into my new home, they contacted the "expert" and he promptly arrived, re-assembled the closet in its final place and left. The seamless interaction between the two parties at no additional headache for the customer is indescribable. The actual move went smoothly and ALL my belongings arrived without any damage. Considering I moved from a 3,500 sqft detached home into a 2,000 sqft townhouse, it is commendable how the team worked tirelessly and efficiently to get the job done at 5pm on a Saturday (again no extra cost for working on the weekend). I will definitely be using Burloak movers for my next move, and I hope you do too! I purchased and paid 50% for a bookshelf to be installed around my fireplace on Feb 13'th. After receiving an initial install date of Mar 6'th, the installers finally showed up Mar 20'th (>1 month from order date). Anyway, like many of the posters on this site, the installer could not finish the job on the same day because the designer took wrong measurements or the manufacturing people cut wrong sizes (and here begins the finger pointing within their organization) ... and that was only the beginning of the issues. Upon further review of the incomplete job, I noticed basic fundamental design flaws that I brought to the notice of Wendy with the help of pictures. These issues were: 1). 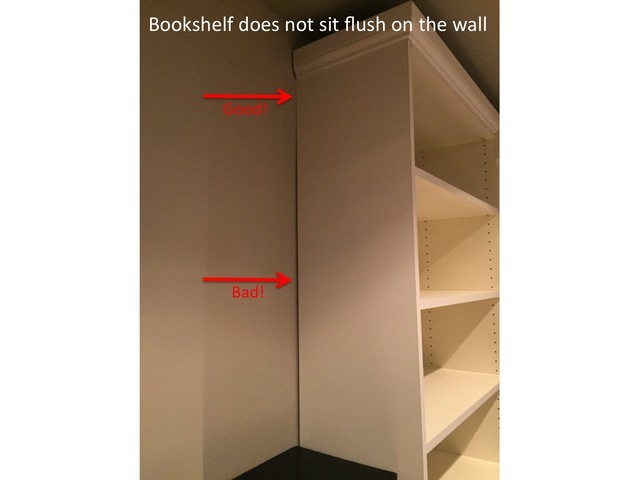 The baseboard design of the bookshelf did not match the existing baseboard of the room. 2). 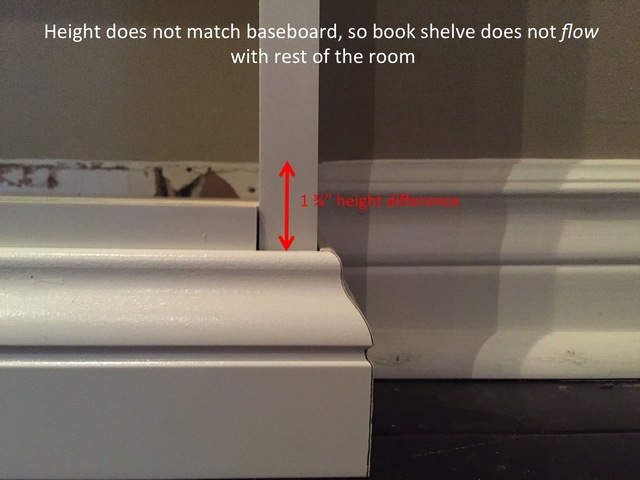 The baseboard height of the bookshelf did not match the existing baseboard of the room. 3). The half installed closet did not sit flush against the wall. Points 1 and 2 were specifically discussed during the design stage where the designer confirmed the bookshelf will flow with rest of the room to look as though it was built in from the start. The pictures clearly show otherwise, however during discussions with Brenda and Cathy (head of Installation), I was made to feel that I was not being honest about my discussions with the designer. Point 3 was dismissed as "clearly mentioned in the contract as uncontrollable circumstances that CBD cannot be liable for". (I reluctantly succumbed although a little caulking to show the gaps closed would have made this customer happy). The process from making my claims with first Wendy - who didn't even know who I was 1 week after filing my claim, to Brenda - who was arrogant and provided 100% customer dissatisfaction, to Cathy (head of installation) - who is trained to say "no" to the customer was a completely frustrating experience and should not happen to any paying client. 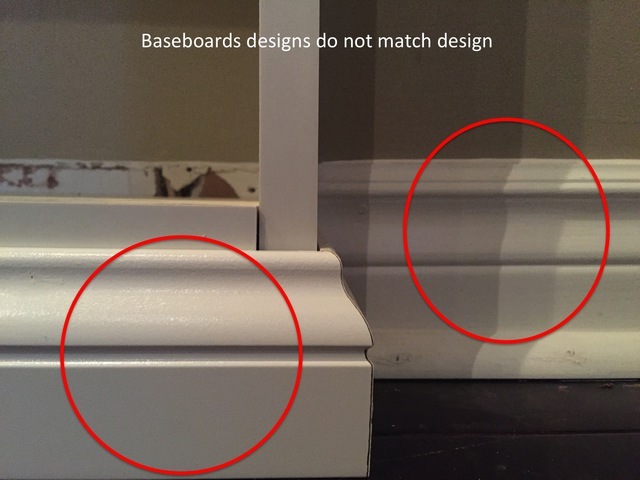 After numerous calls (some un-returned) Cathy finally agreed to install baseboards if I provided them, because CBD "cannot source from the thousands of designs available" (my baseboard is a standard homedepot stock). 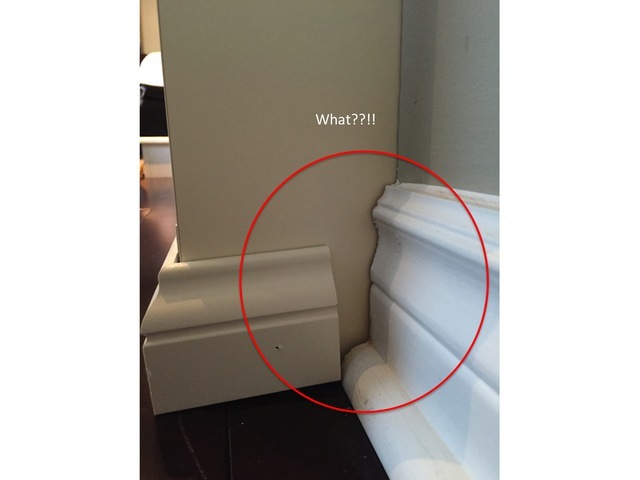 This ofcourse, was without credit of their unused baseboards or other materials that were not used due to unforseen circumstances (crown moulding). On Apr 7'th (a full 7 weeks after placing the order) Alex finally finished the job AND HE IS THE ONLY reason of me rating a 1 star as he addressed all my concerns and did not leave until I was completely happy with the outcome. Don't use this company for the people in it clearly don't understand customer satisfaction nor care about repeat customers. Hi there, we are sorry to hear about your bad experience. We're normally known for our exceptional attention to detail, and we regret that we missed that mark. If you would like to discuss this further, please contact our Sales Manager, Christina at 416-742-3197. Frans and Danny did an excellent job in installing 2 very hard (logistically) chandeliers (amongst other things). There were creative in their ideas and made what I thought was an impossible dream come true. The job not only included complete re-wiring and adding of switches but heavy lifting at a precarious height. Their pleasant attitude, workmanship ethic, timeliness and affordable pricing made the whole experience - awesome! I will definitely use them again and recommend others to do the same.